Behold: There's a new long-distance champion of the world. 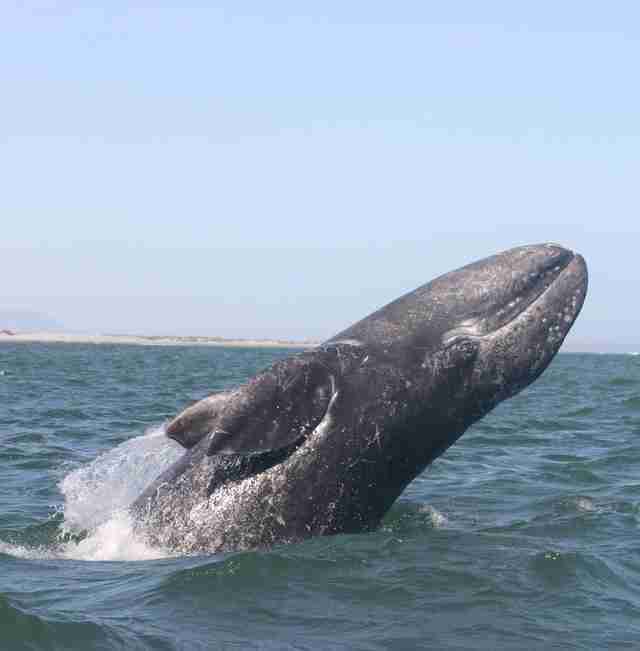 A gray whale has broken the record for mammal migration, swimming a jaw-dropping 13,988 miles - equivalent to swimming halfway around the world. The round-trip marathon from Russia to Mexico and back took 172 days. What's more, the whale never once stopped to feed. 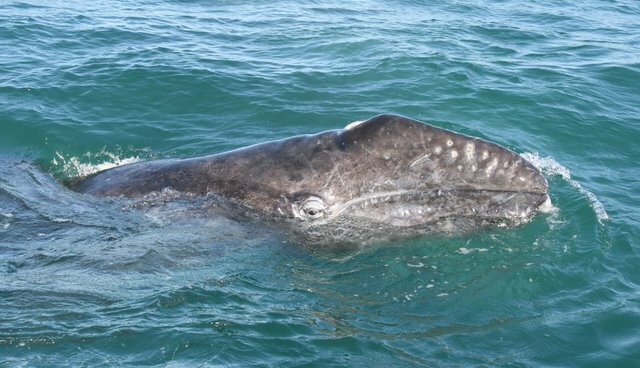 Researchers from the Marine Mammal Institute at Oregon State University made the discovery after tagging the whale, dubbed Varvara, with satellite devices off the coast of Sakhalin Island in Russia. Soon enough, they could determine that Varvara had ended up in sunny Mexico, after a long journey through the Bering Sea, Gulf of Alaska and all down the California coast. The study, published Wednesday in Biology Letters, also shows that Varvara didn't take the same route back to Russia as she did on her way down to Mexico. This, one researcher told LiveScience, shows that she was using her navigational skills to find the way, and didn't even need the coastline to guide her - something the researchers were astounded to discover. Varvara shattered the previous Guinness World Record, which belonged to humpback whales, who make a 10,190-mile annual migration from the equator to either the Arctic or Antarctic each year. The entry has yet to be updated for the new champion.